If your skin ever feels dry or irritated after you've washed it, consider adding a cleansing balm to your routine. It can remove dirt, makeup, and impurities, while helping restore the skin's moisture balance, leaving it soft, hydrated, and healthy. A cleansing balm is a creamy makeup remover that can also calm the skin. While balm cleansers can be extremely effective at removing stubborn makeup, they won't irritate sensitive skin or dry it out. They typically start off as a wax and become an oil once they come in contact with the skin. 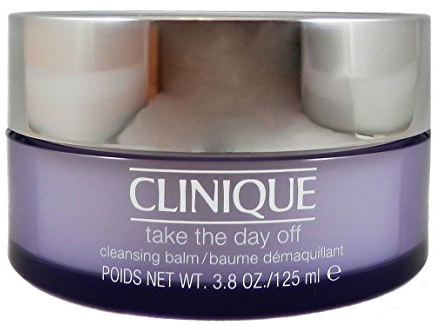 The cult classic CLINIQUE by Clinique: TAKE THE DAY OFF CLEANSING BALM works quickly to gently remove dirt and makeup without irritating the skin. It works on all skin types, including dry and sensitive skin. The cult classic is recommended by publications like Allure, Harper's Bazaar, Shape Magazine, Rank & Style, The Independent, Good Housekeeping Institute, Refinery29, TotalBeauty, and The Cut. If you're looking for a creamy cleanser, consider the best-selling Clinique Take The Day Off Cleansing Milk instead. 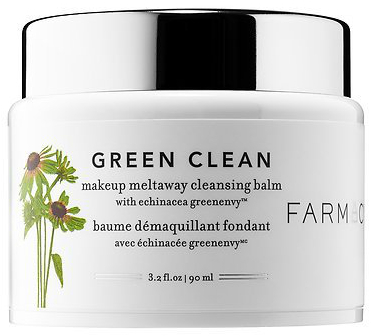 The Farmacy Green Clean Makeup Meltaway Cleansing Balm effectively removes even waterproof makeup. It also gently removes dirt, oil, pollution buildup, and impurities. The nourishing cleansing balm-to-oil formula is made with echinacea greenenvy and other powerful ingredients to leave the skin feeling soft and hydrated. The Allure "Best of Beauty" Award Winner is recommended by The Good Housekeeping Institute, TotalBeauty, and Rank & Style. The IT Cosmetics Bye Bye Makeup 3-in-1 Makeup Melting Cleansing Balm effectively removes makeup in no time. The hydrating, sulfate-free, paraben free, purifying instant makeup remover is a creamy blend of botanical oils, antioxidants, and high-performing ingredients, like collagen, hyaluronic acid, peptides, and ceramides to provide softer, hydrated skin. It's also made with an anti-aging, skin-softening serum concentrate to help reduce lines and signs of aging. It was developed by plastic surgeons and is recommended by Allure, TotalBeauty, and Rank & Style. 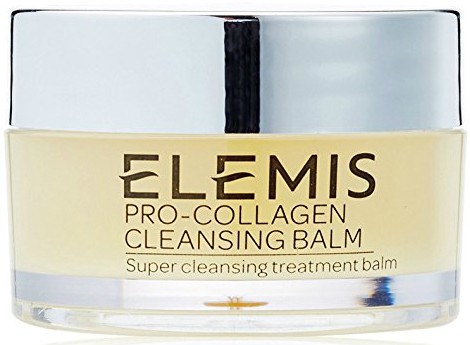 The ELEMIS Pro-Collagen Cleansing Balm deep cleans, softens, and nourishes the skin all at once. It is made with active plant extracts and botanicals, rose water, and other beneficial ingredients to gently dissolve makeup, dirt, and pollutants. After removing the balm, any of the collagen-boosting and antioxidant-rich blend left behind will only further benefit your skin. It's formulated without artificial colors, parabens, SLS, or mineral oils. This works on most skin types, including dry, aging skin. It is recommended by publications like Allure, Harper's Bazaar, Shape Magazine, Stylist, The Independent, The Cut, and Refinery29. 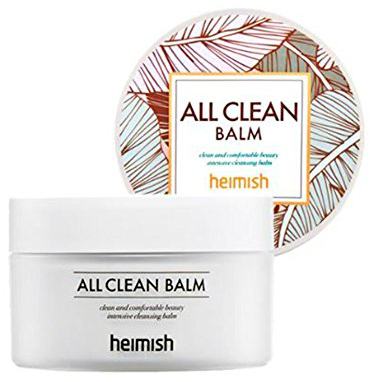 Amazon's Choice for cleansing balms, the hypoallergenic Heimish All Clean Balm works well on all skin types, including sensitive skin. It effectively removes makeup without irritation or residue buildup, so skin feels clean and soft. The balm cleanser changes to an oil texture once it touches water, so it is gentle on any delicate areas. It has over 300 five-star reviews on Amazon and most reviewers agree that it smells great. 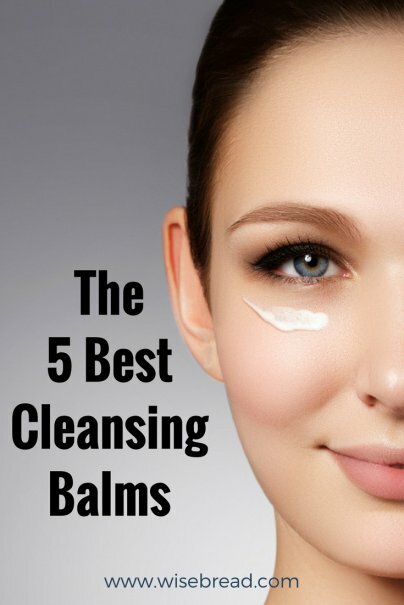 And those are our recommendations for the best cleansing balms. As always, be sure to check Wise Bread's Buying Calendar to learn when and how to buy just about anything!